After most legislators went home last Friday, Senate Majority Leader Harry Reid announced to the few remaining on the floor a tentative deal to pass that chamber’s version of the American Recovery and Renewal Tax Act. Pared to “just” $827 billion from $937 billion a day earlier, the package includes another dozen or so amendments and one giant rub: The Senate’s “economic stimulus” package provides Americans zero assurance that its corporate and government beneficiaries would use all that taxpayer money to hire only verified U.S. citizens and legal foreign workers. “This makes about as much sense as trying to fill your bathtub while the bottom drain is open,” says retired senior U.S. immigration agent Michael Cutler, who served the government for 30 years. “The U.S. claims determination, through its economic stimulus plan, to put money in the hands of Americans who presumably will spend money in the U.S. At this time, it’s counterintuitive and antithetical to hire foreign workers whose goal is to ship their earnings overseas.” Indeed, before World War II, the Dept. of Labor enforced U.S. immigration laws to protect American workers and mandated a shortened, 40-hour work week “to spread jobs to as many American citizens as possible,” Cutler adds. President Barack Obama insists that the U.S. has “inherited an economic crisis as deep and dire as any since the days of the Great Depression.” If true, it would make no sense to pass an economic stimulus plan that simultaneously increases the number working in the U.S. Senator Majority leader Harry Reid would like nothing better, however. On January 7, Reid introduced the paradoxically named the “Stronger Economy, Stronger Borders Act of 2009.” Reid constructed the imprecisely worded two-page “placeholder” to later house comprehensive immigration “reform and rationalize” legislation. Translation: Reid wants massive amnesty for illegal aliens—now realistically estimated at 20 million. He even hopes to increase lawful immigrants to the U.S., whose numbers by 2006 had topped 1.3 million a year. Such “reform” would only further weaken the U.S. economy and erode already lax borders. In response, Sen. Jeff Sessions (R-Ala) has introduced SA 239, a measure that would require local governments and businesses that receive stimulus funds to use E-Verify, an online verification system that allows employers to check the legal status of their workers. Under the SA 239, government contractors benefiting from the stimulus plan would electronically validate job applicants’ social security numbers and names against a central database. Challenged Friday night by Sessions on why SA 239 was not included in proposed stimulus amendments, Reid hemmed and hawed. 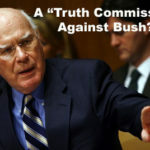 He did not know, he said, asserting that Senators would later have opportunities to add further amendments. Although polite, Sessions was understandably not sanguine. 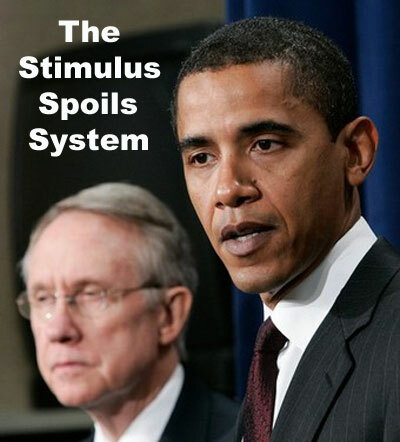 Reid has now scheduled the “stimulus package” floor vote for Tuesday without adding the necessary E-Verify protections. Verifying employees’ legal qualifications to work in the U.S. should not be partisan politics. Not doing so costs everyone—Democrats, Independents and Republicans alike—big bucks. Illegal aliens send as much in untaxed earnings as possible “back home.” They withdraw from the U.S. economy much more than they contribute. Working or not, moreover, illegal aliens also use educational, natural, welfare and other U.S. resources for which they do not pay taxes. The estimated cost is nearly $325 billion annually. Illegal aliens account for most federal prison inmates, too, according to many studies. Immigration cases made up 57% of “all new federal criminal cases brought nationwide” in March 2008, according to Syracuse University-affiliated analysts. They include hundreds of thousands of criminals—a violent alleged sexual predator in New Jersey; a convicted drug dealer and alleged shooter of two New York policemen; a juvenile felon and alleged triple murderer; crack cocaine dealers; a drunk driver who killed two Virginia teens; an illegal Panamanian ex-convict and police killer and so on. Contrary to popular opinion, authorities often criminally charge illegal aliens following felonies and violent crime, not just illegal U.S. entry. The governmentâ€™s failure to enforce immigration laws has not been lost on voters. In 2008, millions of citizens time and again appealed to the 110th Congress to renew the expiring E-Verify bill, which had hundreds of legislative co-sponsors. Last week, both parties therefore gave broad support to the House E-Verify amendment. Yet House Speaker Nancy Pelosi last year flatly refused to allow a House floor vote on the comprehensive “Secure America through Verification and Enforcement” (SAVE) measure, intended to permanently expand E-Verify usage to all U.S. companies and government contractors. Now, Senate majority leader Reid is stonewalling on E-Verify in Madam Pelosi’s stead. The only possible logic rests in illegal aliens’ reputed preference for the Democratic legislators determined to swap political responsibility for future votes. That problem dates back to 1978. During the U.S. Census count, President Jimmy Carter ordered Immigration officers not to arrest illegal aliens, says Cutler. “He did not order us not to arrest drug dealers or murderers.” The House of Representatives is apportioned by the U.S. Census—and populous states tend to vote Democratic. Carter recognized illegal immigration as a means of increasing Democratic party power. A magnet for illegal immigration, California now has 53 representatives—over 23% more than in 1978. Texas, another state attracting a large illegal alien population, now has has 32 congressmen, more than the 29 in New York. Representatives from those states use the Census to serve their party—rather than their positions to serve legal citizenry, Cutler says. Friday night, Senators did adopt an amendment prohibiting more than 200 banks that got federal bail-out funds from hiring foreigners. Legislators were compelled to act after the Associated Press reported that banks who had laid off thousands of U.S. workers in 2008 requested nearly a third more foreign worker visas. The amendment gives American workers small change, however. It bans banks from hiring foreigners only for one year. 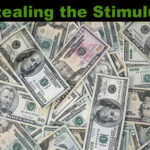 President Obama’s economic stimulus seems intended not to benefit the U.S. public but rather to shore up the core constituencies of the Democratic Party—including those illegal immigrants who will form the partyâ€™s base in the future. Such cynical political engineering may be good for the Democrats, but there is little evidence that it is good for the country. Once again the Dems have revealed their utter disdain for the rule of law. They will sell their souls in order to procure votes. They are, in a word–pathetic. Thank you for fighting the war at home while I am fighting the war in Iraq and Afghanistan: the war for personal freedom, no more, no less. Mr. Stevens, thank you for your service, and your thanks. May God bless you and keep you.